Wondering why your sales funnel never seems to convert many leads? Feeling frustrated at the amount of effort you seem to be putting in with little to no return on your investment? If so, you are not alone. Many business owners understand the importance of lead generation but struggle to get their funnels to a point where they actually convert leads into sales. In theory, it sounds very simple – attract people to your website, nurture them until you can hand them over to sales, and then wait for them to convert. In reality, it is seldom that easy. A growing number of businesses know that they need to focus on lead nurturing. Despite knowing this, a staggering number of leads will be forced through the sales funnel before they are ready and an equally high number won’t stand a chance of converting. What the statistics below show us is that lead generation is something that can often be misunderstood or treated as an after-thought. What does this mean, though? And, how can you find out why your sales funnel is not performing as it should? One of the primary reasons for sales funnel failure comes down to a lack of planning. Trying to ‘wing it’ or adjust as you go may seem like the easiest approach, however, this almost always ends up with a funnel that is not designed to convert. Getting side-tracked by metrics that are not indicative of genuine conversion is another mistake that can make you think that your funnel does not need any improvement. Before you get too caught up in your large following or your high email open rates or even your growing click rate and wonder why these are not equating to actual sales, it is essential to stop and take a good, hard look at your funnel to see if it is genuinely on the right track. If you are not seeing conversions or you are battling to move leads through your funnel at any stage, it may be due to one or more of the following reasons. When your funnel is complicated, with many steps and chances for leads to opt out, there is a higher chance of those leads actually opting out. In simple terms, the more opportunities you give leads to leave the funnel, the more likely they will be to take those opportunities. One way to encourage lost leads is to have far too many steps or a complicated funnel that puts leads off. Make sure that you make it as easy as possible for leads to move on to the next step without veering them off course. Creating content is good. Attracting leads with lead magnets and social media posts and ads and various other hooks is also good. Just be careful to attract leads that are valid rather than empty leads that bring in traffic without any chance of conversion. A great example of this is viral type content that gets shared a lot with people clicking rather than going to sales. Keep your content focused and don’t forget to segment your lists to tailor your offers even further. If you are not split testing various aspects of your funnel, from email subject lines all the way to lead magnets, you are missing out on a chance to refine and perfect your funnel. You could split test personalisation strategies, landing pages, ads, email marketing campaigns, mobile marketing campaigns, social media campaigns, and various other approaches. Focusing on one idea without testing or exploring multiple channels and offers can lead to blinkers, which, in turn, can very quickly lead to a funnel that is dead in the water. Without proper training, your sales team may end up sabotaging your sales funnels before leads have a chance to convert. Now is the time to invest in sales training so that sales teams have a clear idea of how to take leads home to the final stage without putting them off with pushing hard-sell techniques or other strategies that are scaring leads away in the final stages. Sales teams need to know not only how to sell but also how lead nurturing works so that they are able to bring leads home in the most effective way possible. On a similar note, your sales and marketing teams need to be carefully aligned for your funnel to be optimised. If your marketing team is not keeping your sales team updated and vice versa or you have any gaps between the two, the result will be lost leads. If you are carefully nurturing leads up until they reach sales, only for leads to suddenly be met with a totally different strategy or tone, your lead funnel will remain broken. Finally, another area that can commonly cause issues is a lack of measurement at each stage of your funnel. Don’t get so focused on conversion that you forget about all your other smaller goals and milestones. Consider each step from the moment that leads enter the funnel to the moment they move to sales. Where are you losing leads? Which step has the best results and which has the worst? Track and measure to see how you can improve each stage and you will start to notice a difference. Another thing that can very quickly derail even your best efforts is dirty data. Marketing automation offers a powerful tool for lead nurturing with numerous benefits. When you try to automate broken processes or data, things very quickly go haywire. One example of this is having duplicate leads, incorrect lead contact information or even something as small as a typo in the lead name. When strategies such as personalisation are used along with automation, and you have typos or missing information, you stand the chance of losing leads very quickly. Automating a mistake can end up not only losing you a potential sale but also losing your reputation, too. Regular cleanups and reviews are essential to ensure that your data is on track. 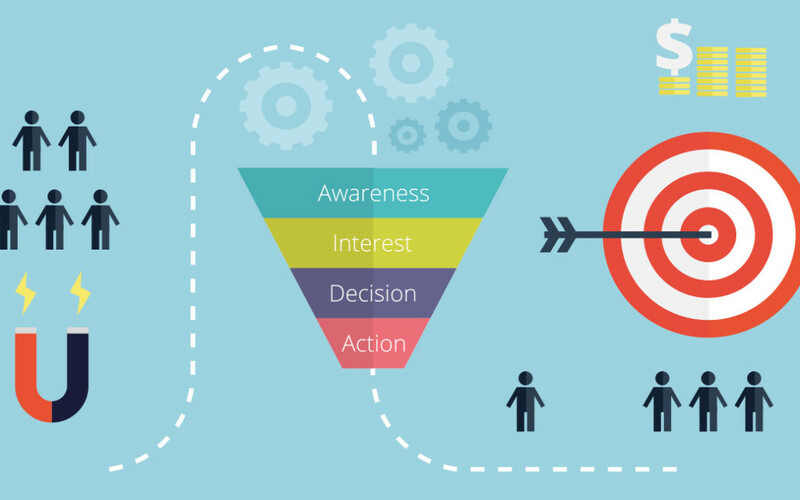 These are just some of the potential problem areas that can arise in your funnel. In order to get the best results, your funnel needs to be streamlined and optimised in a way that ensures the smoothest path for leads at every stage. The good news is that funnels are made to adapt and grow. If something is not working, all you need to do is stop, evaluate, and improve. Once you begin to consistently refine and improve your funnel, you will begin to see the impact that your improvements have on your conversion. This is, without a doubt, one of the best ways to be sure that your sales funnel is set for optimal growth.